[toc]Gastro Oesophageal Reflux Disease is an unpleasant situation that is caused when the acids in the stomach are thrown upwards to the oesophagus. This feels like a fire that is broken in the chest and that is the reason in general terms it is also known as ‘Heartburn’. A person suffering from this disease may experience symptoms like chest pain, dry cough, difficulty in swallowing, sore throat and sensation of a bulge in the throat. 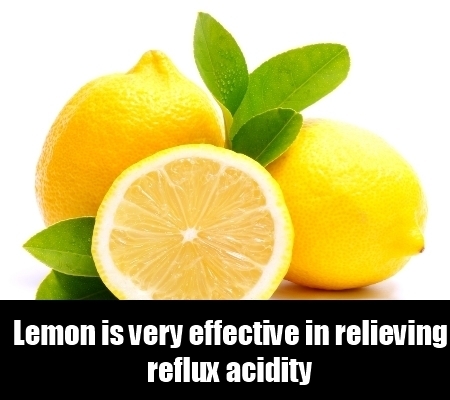 Lemon is very effective in relieving reflux acidity when mixed with honey in tea. You can also have lemon mixed with water. While starting the day with drinking lemon juice mixed with warm water on an empty stomach, the body tends to balance the acid level naturally and thus helps in avoiding the high acidity level which causes heartburn. It helps in digestion and is safe for everyone. Sodium bicarbonate/soda has been known as one of the best remedies to thump heartburn. 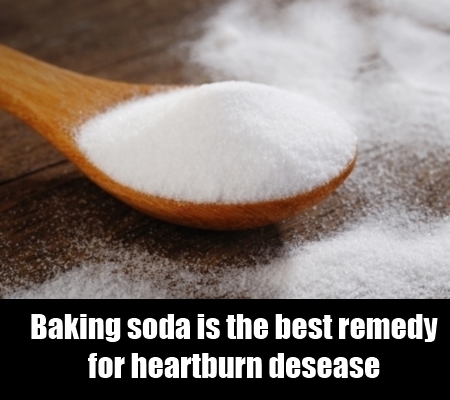 Since the cause of heartburn is the stomach acids, baking soda is the best remedy as it is a base and thus neutralizes the effect of those acids which cause heartburn. Mix half or one tea spoon of baking soda with a glass of water and the recommended dose is once a day to get relief from heartburn. 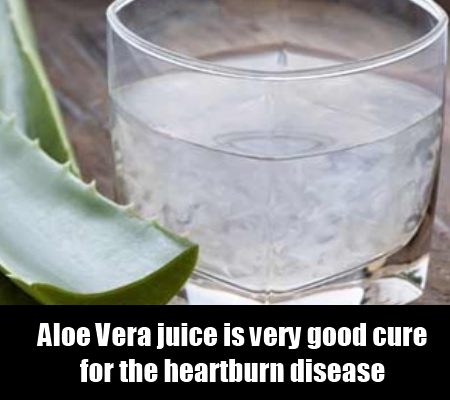 Aloe Vera is an easily available plant in the kitchen garden of a household that can turn out to be a very good cure for the heartburn disease. The extracts or the juice of this plant is a very good cure and results in a healing impact inside the stomach and food pipe as well. Drink the juice slowly (to touch each inch of food pipe) half a cup before the meals. 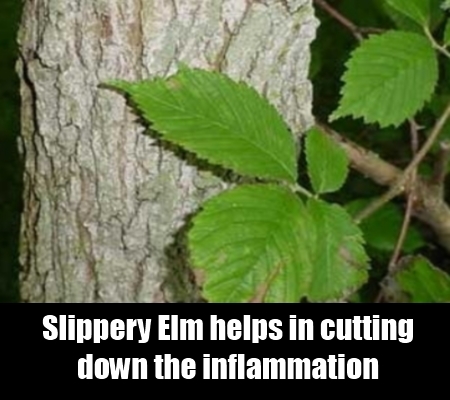 The slippery elm is considered to be the best cure for many diseases. It helps in cutting down the inflammation and forms a protective covering of mucous in the oesophagus and the stomach. When there is a thick covering, there is no harm done even if there is an acid reflux. Have one spoon of slippery elm along with water once after lunch and once before going to bed at night. It is one of the herbs that are used since ages to cure stomach related problems. Post it’s intake, it increases the thickness of the mucous lining inside the stomach tissues and acts as a barrier for the acids to touch or burn the stomach walls. 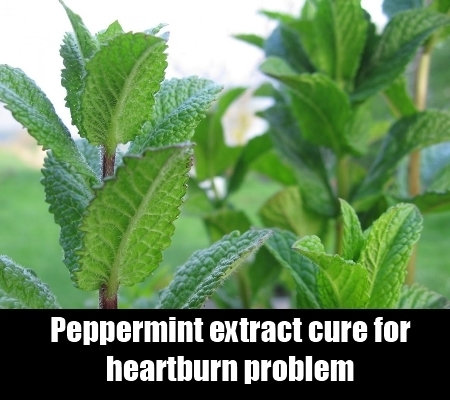 Another herbal treatment which is proves to be a healthy cure for heartburn problem is peppermint extract. Peppermint is an easily available plant and it is also used in many different cuisines as an integral ingredient. 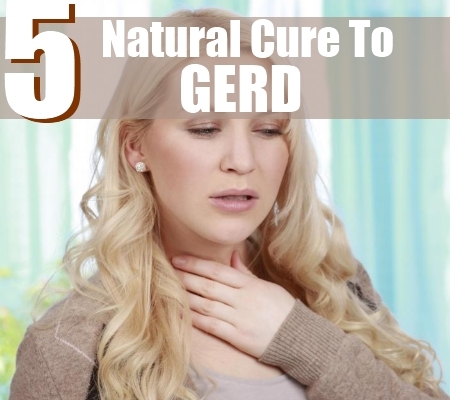 The cooling properties help in relieving the burning sensation caused due to GERD. Drink half a cup of peppermint juice after the meals for immediate relief. You can also have peppermint tea after cooling it down to room temperature.